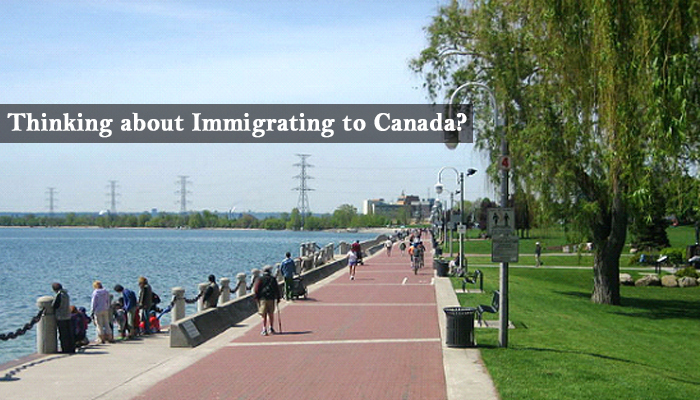 Home > Canada Immigration > Thinking about Immigrating to Canada? Immigrating to a new country is always overwhelming at the best of times. Even the most seasoned immigrant will feel those familiar butterflies in their stomach when the time comes to board a plane to a nation that might not speak your language and in which you will know no one. This is what makes immigrating so exciting but also very overwhelming. It is of course very isolating to feel alone in a new place, and if you cannot even speak to the locals that sense of isolation can become even more suffocating. However, in any country, people tend to be incredibly excited to welcome new residents. After all, who does not love the pride that comes with acknowledging the fact that people are choosing to come and moves to the place that you call home? Therefore, just be friendly on your journey and you will be surely be welcomed by people who will do their very best to communicate with you and engage you warmly into their everyday life. And Canada is no different from any of those other nations throughout the world in that respect. They love diversity and will be sure to embrace you with open arms if you choose to move to their nation. For anyone considering a move to Canada, there are certain cities which you simply must visit once you are a resident. Vancouver is one such city, with its friendly residents, beautiful landscape, and community vibe. Another place that immigrants in Canada must see is Toronto with its hustle and bustle. Boasting food from all over the world, including Korean and Greek, Toronto provides a truly international experience all within this one city. The largesse of Toronto makes it a must-see for many visitors to Canada every year. Banff and Quebec are also incredibly popular and they both see significant numbers of tourists visiting every year. To come in the wintertime to either of these cities is to see some of the most glorious winter wonderlands that one can imagine! Montreal is another top-rated choice to move to, as is Whistler. There are a tremendous number of places in Canada that any number of people would insist you would be crazy for missing, but you can discern these for yourself as you begin your immigration. Move to the ‘Canada’ You Want To See! After all, in the end, a vacation is a time for you as an immigrant to see the parts of a country that you want to see. Whatever the popular tourist guides may suggest are must-see locations, you need only choose those places that sound interesting to you. After all, you are immigrating to experience the Canadian culture, and there is a huge lot of culture to experience! Previous Previous post: Do All Immigrants Get Legal Representation? Next Next post: Green Card Requirements – What are they and how do I Comply? I had a dream, One day I will go to out of India for travelling and that came true only for because of morevisas. Thank You morevisas for given me Canada visa. This is the amazing site..
all information is valuable for me..